Published on 07. 05. 2018 in comics and cartooning, commentary and criticism and hype & linkage. Closed Tags: Anna Degnbol, Bue Bredsdorff, Fiesta-magasinet, Johan F. Krarup, Mårdøn Smet, Paul Gravett, Peter Kielland, Signe Parkins, Sofie Louise Dam. Published on 06. 02. 2013 in comics and cartooning, commentary and criticism and hype & linkage. Closed Tags: Mårdøn Smet, Paul Gravett, Strig & Martha. 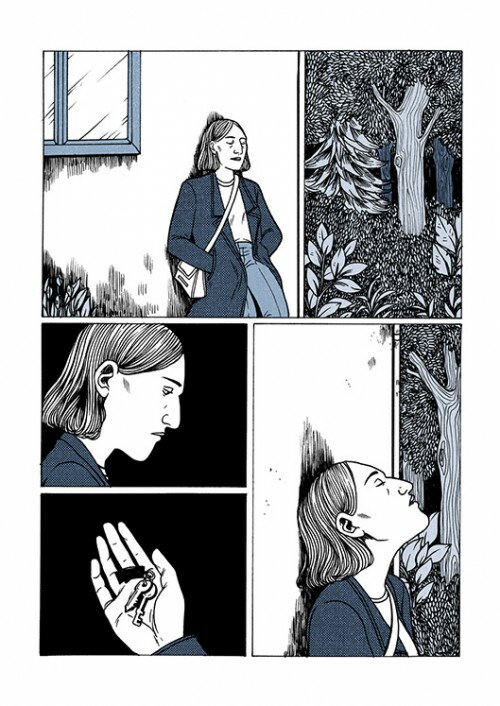 As he does every year, Paul Gravett has rounded up proposals for the best national comics of the year from an international panel of experts. This time around, he asked us to name just one comic rather than several, as we usually do — not everyone followed this direction, but I did. Here’s my pick, but do go to Paul’s site for the entire list. 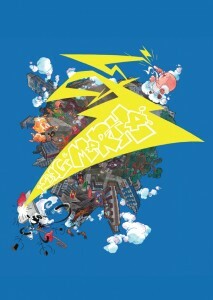 This slim, tall tome collects one of the hidden gems of Danish comics of the past twenty years. Since it first saw the light of day in the seminal anthology magazine Fahrenheit in 1992, Mårdøn Smet’s (e)scathological gag strip has led a liminal and rather intermittent existence in Danish comics, providing small revelations for the intrepid few. Now a wider, if still discerning, audience gets the chance with this near-complete collection. Smet has jettisoned a few early efforts and redrawn a few others in glorious watercolour, fashioning a seamless whole of what was always a shatter of fragments. Eponymously titled, the strip centers on two characters: short and tall, male and female, ambitious and sensitive, rational and emotional. In Smet’s hands, this classic formula becomes a vehicle for sacred reflection through profane humor. Smet’s line was built as a pastiche on Dutch masters Fred Julsing and Daan Jippes, but has long transcended its paragons to become an almost cryptogtaphic idiom, where buoyant dynamism is encoded in multitudinous swoops and curls. An embodiment of the failure of language, appropriately set in pantomime – everybody can read it, if they are willing to brave the line. Smet himself describes it as a kind of ‘waste product’, the art shed by his despair. It is grim, but very human, centering on irrepressible if always vain aspiration. Tense and beautiful. For previous lists, here are mine from 2009, 2010, and 2011.